The terms of Russia’s food embargo depend on actions of Western partners, according to Russian Deputy Prime Minister Arkady Dvorkovich. Moscow may lift the ban introduced last year as a counter-measure if West lifts its anti-Russia sanctions, he said. “The issue of lifting or extending the food embargo surely depends on what our partners who imposed sanctions will be doing. 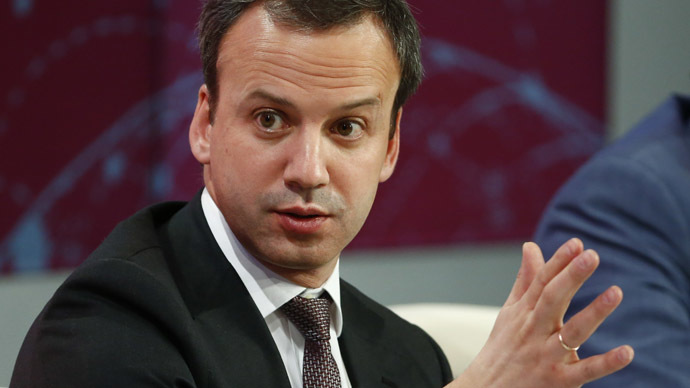 If sanctions are not lifted the embargo will not be lifted, surely we have no reasons to lift it," Dvorkovich told journalists on Tuesday, according to RIA Novosti. He also added that there might be selective adjustments but no radical decisions are planned. Moscow banned agricultural imports from sanctioning countries for one year in August. The embargo was introduced in response to sanctions imposed on Russia by the west over the Ukrainian crisis. Imports of beef, pork, poultry meat, fish, cheese, milk, vegetables and fruit from Australia, Canada, the EU, the US and Norway have been prohibited in Russia. The one-year ban is also expected to boost domestic agriculture as Russia has started pursuing an import substitution policy.